4. Pour Peanut Butter mixture into 9×13 pan. Pat down evenly. 7. Chill for 30 minutes. Cut into desired size. 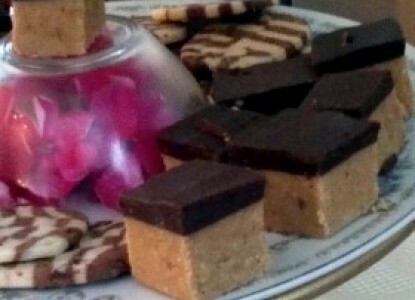 We serve them in 1 inch squares as pictured above.